The men of Easy Company, 506th Parachute Infantry Regiment, 101st Airborne Division, prepare to leave Upottery Airfield on board the C-47s that will carry them into France on the night of D-Day, 5/6 June 1944. Crossing the enemy occupied French coast in complete darkness, under heavy AA fire, the 101st and other Airborne Divisions parachuted into Normandy, close to the village of St. Mère Eglise. Their historic drop launched the first action of the greatest military invasion in history, spearheading the massed landings of Allied forces that heralded the beginning of the end of the Third Reich. 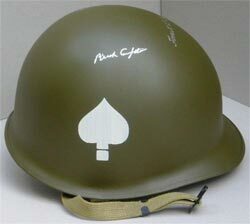 Specially commissioned by the Military Gallery, working in close liaison with James Dietz, one of America's foremost artists, this highly restricted print edition is issued with a genuine US military issue combat helmet, from which we have created a museum quality collectors piece, in Easy Company markings. Each helmet is beautifully displayed in specially created presentation box. 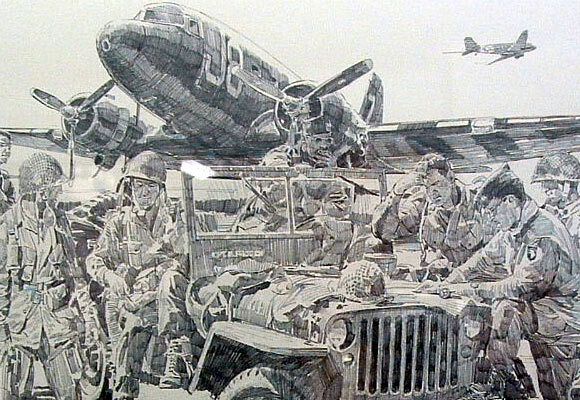 Another close up of Easy Company. 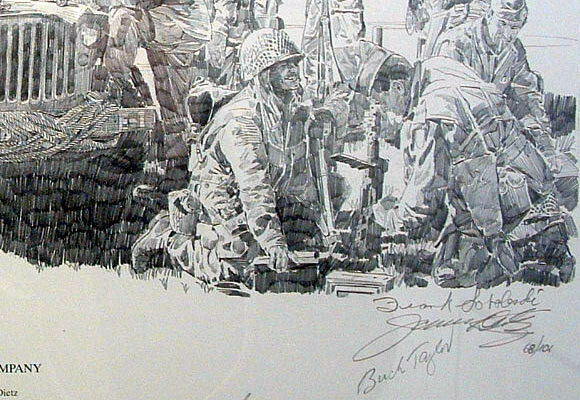 The signatures of Buck Taylor and Frank Sobeleski can be clearly seen in the bottom right. 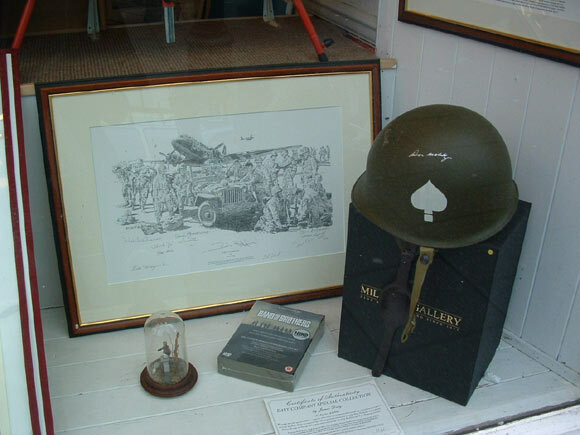 A photo of our Easy Company display in the gallery window (above). Commemorating the men and the gallant deeds of the 101st, the edition size is appropriately limited to just 101 sets worldwide. 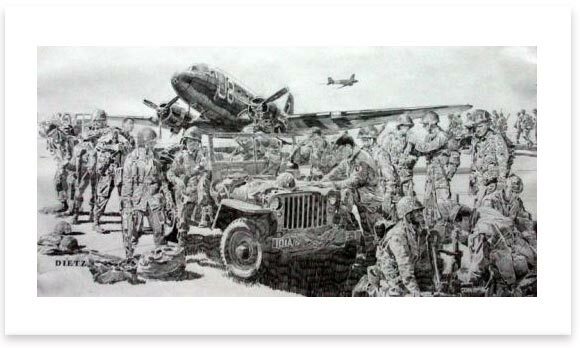 Both the print and combat helmet in each set is personally hand-signed by the artist James Dietz along with ELEVEN original Easy Company veterans creating a unique and highly desirable collectors edition. This special collectors edition has now sold out.